Western countries face the biggest national mental health crisis in their history. Never have so many individuals needed mental health care - with almost one in two individuals now reporting severe psychological problems during their life time. Despite this pressing need, however, the mental health care systems in many countries are confronting grave financial threats along with long waiting lists and insufficient care. 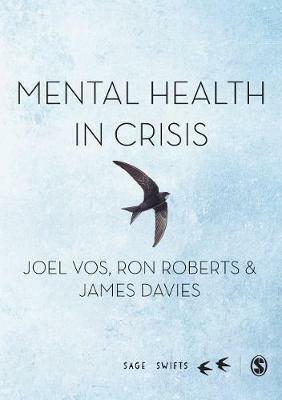 This book brings together empirical research to argue that 10 key socio-political, economic and medical crises have lead to this crisis in mental health care. In the final chapter the authors begin to look to alternatives that could help resolve this crisis. James Davies graduated from the University of Oxford in 2006, with a DPhil in social and medical anthropology. He is a reader in social anthropology and mental health at the University of Roehampton and a qualified psychotherapist. His books include The Making of Psychotherapists: An Anthropological Analysis and Cracked: Why Psychiatry Is Doing More Harm Than Good. He edited Emotions in the Field: The Psychology and Anthropology of Fieldwork Experience and The Sedated Society: The Causes and Harms of Our Psychiatric Drug Epidemic. He cofounded the Council for Evidence-based Psychiatry, which is now secretariat to the All-Party Parliamentary Group for Prescribed Drug Dependence.